This is what my dad drives, and while he loves his truck, he's glad he paid extra for a steering wheel. 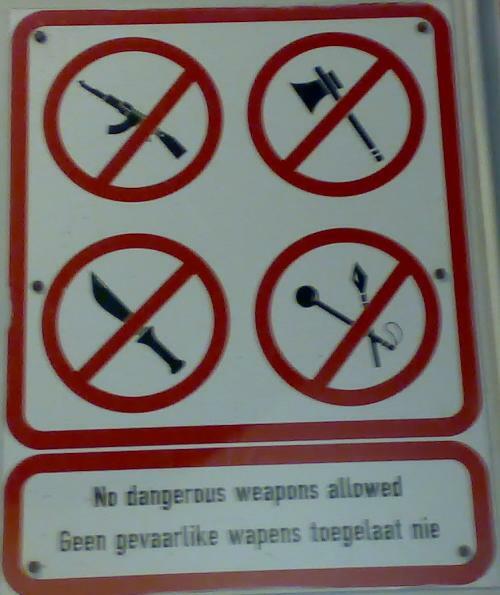 Remember the good old days when you could stride confidently onto a train with an armful of AKs, machetes, battle axes, maces, flails, and warhammers? Well, Adrian V., I'm sorry to say that if you were hoping to hop on a train to film an amateur black metal music video, you can forget about it. I don't think "free" means what Costco thinks it means. "As a programmer, it is often my job to convert caffeine into code," Brad M. writes. "I'm always looking for new ways to get my fix but was surprised to see this caffeine 'accessory' being suggested by Amazon.com. Safety first huh?" 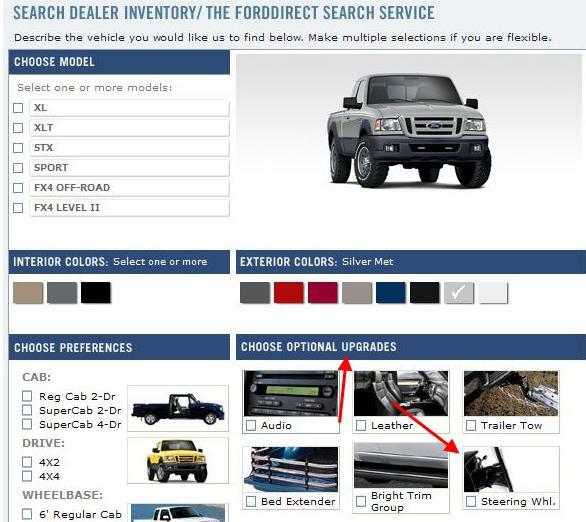 LOL, if you try to search for an F-150, you can add in the optional upgrades of "Wheels" and "Pedals"
It used to be that bumpers were an optional item. Now it's steering wheels and peddles. In a few more years, you'll have to pay extra for the doors and windows. I'm bummed that Amazon did not offer us an I.V. drip to go with the caffeine. That would be really useful. Yes, but I'm not sure that qualifies as an "accessory." (An Omron HEM-780 certainly doesn't.) The coffee would accessorise the drip, not the other way around. I think they should have offered a tall porcelain coppa with a nice shiny seat in a Tuscan piazza where Claudia Cardinale smiles at you from across the table. Now, that I'd pay $63.98 for.